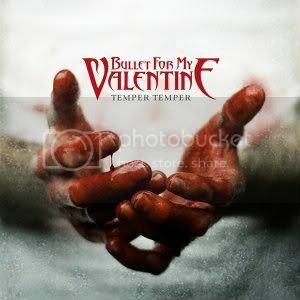 HomeNewsNEWS: Bullet For My Valentine reveal artwork for new album, ‘Temper, Temper’! NEWS: Bullet For My Valentine reveal artwork for new album, ‘Temper, Temper’! NEWS: Bleeding Through hint at an upcoming break up! NEWS: Bullet For My Valentine bassist Jason James quits the band!